I make no secret of really liking Freedom makeup. 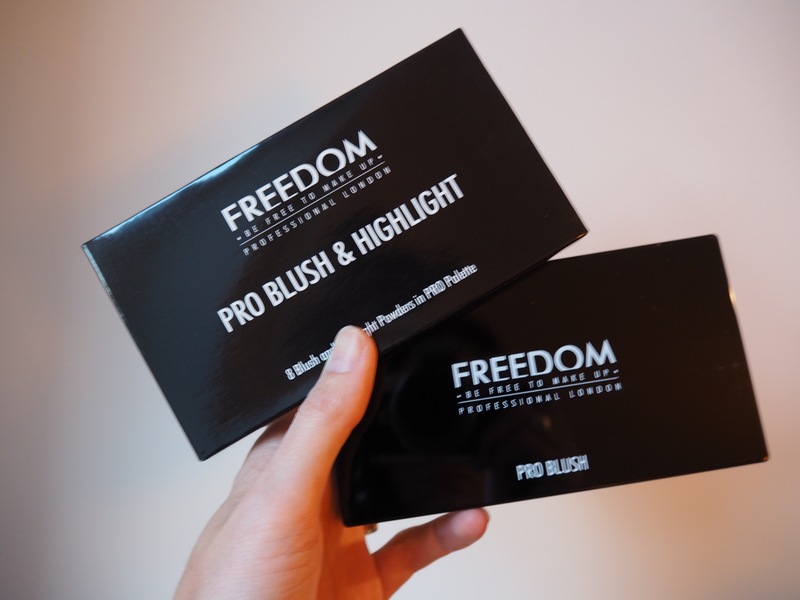 It’s hard not to, Freedom does such affordable makeup and it’s reliably decent quality. Check out my reviews on House of Glam Dolls palette and the Dreamcatcher Pro 12 Palette. The colours are great and the pigmentation is always intense. 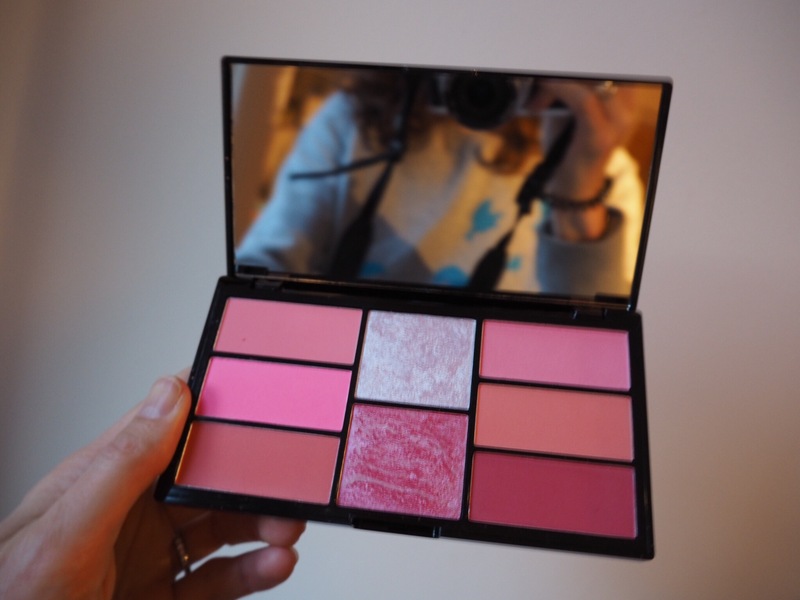 There are several Freedom palettes out at the moment that I am hankering after- highlighters, jewel shadows, lip shades and concealers. The palettes range from £6 to £15. My blusher collection is looking a bit thin so I got the Pink and Baked palette to play with. (I also got a Pro HD Longwear concealer, which is excellent, I’ll cover that soon). The packaging is standard Freedom packaging- a functional black compact. It’s not luxurious, but it’s perfectly fine. There’s a nice sized mirror in the lid (why wouldn’t you have a mirror, mirrorless compacts get on my nerves). 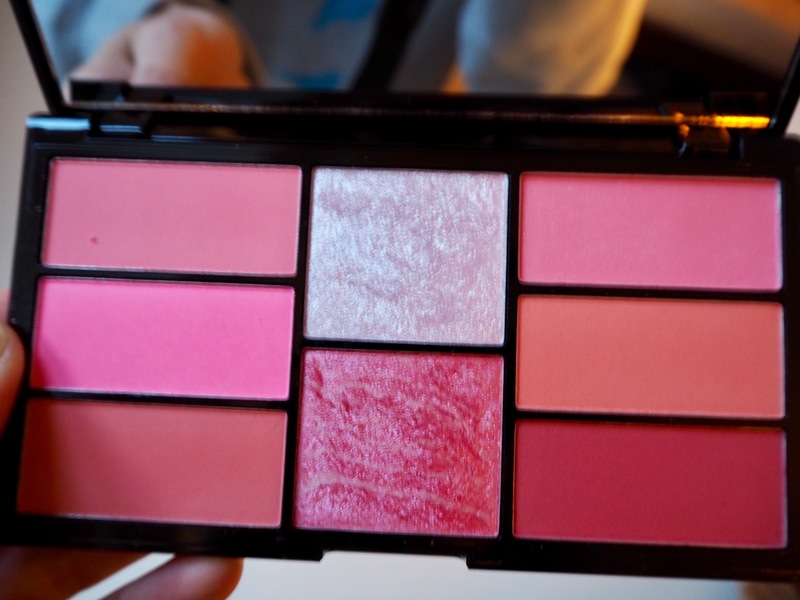 The compact contains 6 blusher shades and 2 highlighters. The blushers are little small for my taste. It’s a little tricky to pick up just one shade with a fat blusher brush. I have to use a slimmer contour brush with it. The highlighters are more generous, although one of the highlighters is pink, so I guess that makes it a blusher really. The first three are the left column, the second three are the right, I worked my way from top to bottom. The last two are the highlighters. All the blushers give a lot of colour, there are no duds in terms of colour delivery. They’re all very soft and easy to blend. My favourite, and the shade that first caught my attention, is the rose. The shade gives a lovely flushed appearance. Worn together with the highlighter any of the shades gives a very bold look, best kept for the evening. The problem is with Freedom Pink and Baked Palette is it’s a bit too colourful for my fair to medium complexion. It would probably work better on someone with darker skin. The highlighters are a bit much too. They can work given a bit of blending, but you have to cautious when picking up not to get too much on your brush. All in all Freedom Pro Blush and Highlighter Palette in Pink and Baked is good, it’s just not to my taste. It’s very colourful and probably best suited to a lady who prefers their makeup bright, or someone with dark skin. 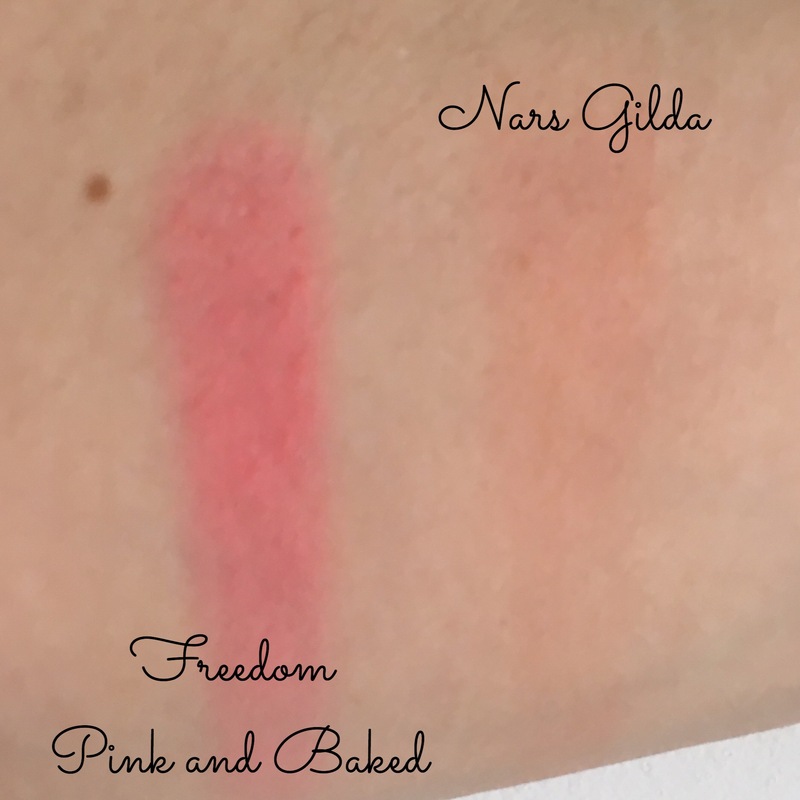 Pink and Baked is available from Freedom for only £6 (there are also Pro Blush Palettes in bronze and peach), check out their other palettes too. A Freedom palette would make a great and affordable gift. Previous Post What to Buy for Women Christmas 2016? Gift Ideas She’s Sure to Love. I love Freedom Makeup as well! And I totally agree with you about the mirror thing, I just don’t understand palettes that don’t have mirrors!